The aim of this book is to consider theoretically the notion of the global competitiveness of regions, as well as giving attention as to how such competitiveness may be empirically measured. 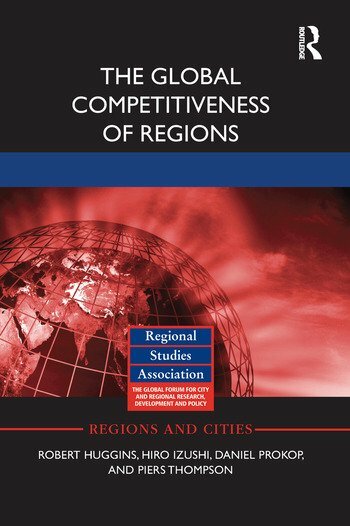 With this in mind, the book has three specific objectives: first, to place the concept of regional competitiveness within the context of regional economic development theory; second, to present a rationale and method for quantifying the global competitiveness of regions; and, third, to undertake the most geographically widespread analysis of regional competitiveness differences across the globe. With regard to the third goal, the analysis incorporates more than 500 regions across Europe, North and South America, Asia-Pacific, the Middle East, and the so-called BRIC economies of Brazil, Russia, India, and China. The importance of the concept of competitiveness has increased rapidly in recent years, with the issues surrounding it becoming, at the same time, more empirically refined and theoretically complex. The focus on regions reflects the growing consensus that they are the primary spatial units that compete to attract investment, and it is at the regional level that knowledge is circulated and transferred, resulting in agglomerations, or clusters, of industrial and service sector enterprises. This growing acknowledgement of the region’s role as a key spatial unit of organisation has led to attention turning to competitiveness at a more regional level. The book explores the results of the World Competitiveness Index of Regions (WCIR), covering the rankings and results of the 2014 edition. The WCIR provides a tool for analysing the development of a range of regional economies across the globe. It enables an illustration of the changing patterns of regional competitiveness on the international stage to be generated. In fundamental terms, the WCIR aims to produce an integrated and overall benchmark of the knowledge capacity, capability, and sustainability of each region, and the extent to which this knowledge is translated into economic value and transferred into the wealth of the citizens of each region. Robert Huggins is Professor of Economic Geography at the School of Planning and Geography, Cardiff University, and Director of its Centre for Economic Geography. Daniel Prokop is currently studying for a PhD on academic spinouts. He previously worked as a research associate in the Centre for International Competitiveness, Cardiff University, Wales. Piers Thompson is a lecturer in economics within Nottingham Trent University, UK.